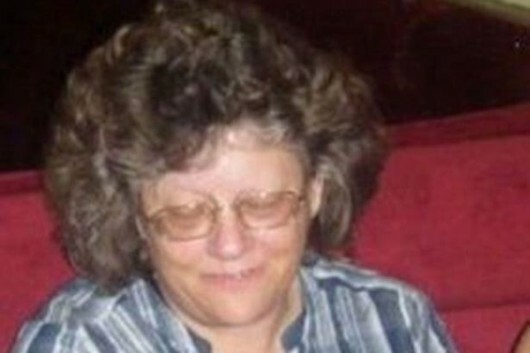 Bedroom tax victim: Stephanie Bottrill, the woman who committed suicide after the Bedroom Tax – imposed on her in error – left her without enough money to make ends meet. The spin doctors at the Department for Work and Pensions are working hard to make a decision to cut funding for discretionary housing payments, by claiming it “builds on the £180 million funding this year”. What a crock. A cut is a cut. There will be less money available to people in financial trouble as a result of government decisions to cut housing benefit (the Bedroom Tax) or other state benefits (the one per cent uprating, the benefit cap, local housing allowances… pick a benefit and it will probably have been slashed). The announcement was made yesterday (Thursday), and councils have until Monday (February 3) to bid for top-up funds if they need to provide extra support. How nice of the Conservative ministers at the DWP to put a weekend in the middle of the time councils must use to work out what they need! Hopefully, councils already have the figures ready but, if not, it’s clear that the government wants to make the process as difficult as possible – for councils and for people who need help. So councils will get £165 million in place of the £180 million they had last year – an amount that, itself, was attacked as far too little by councillors at the time. It was, as the Council of Europe has described the government’s supply of other benefits including pensions, unemployment benefit and incapacity benefit, “manifestly inadequate”. But let’s get back to the spin. The DWP press release states that local authorities are getting the money “to provide extra help for claimants as they move through the government’s welfare reforms”. This avoids the fact that people would not need “extra help” if the government had not imposed these regressive changes in the first place. And they’re not “reforms”. Reform takes us forward. These are just cuts. “The reforms [cuts] are a key part of the government’s long-term economic plans [cuts] to deliver a strong economy [based, as we know, on a debt-fuelled housing bubble centred on the southeast of England alone] that delivers for people who want to work hard [for extremely low pay] and play by the rules [that are made up by Coalition ministers as they go along]. The phrase “capping benefits is returning fairness to the welfare system” is inaccurate as the cap is set too low. The government claimed an average family income is £26,000, but in fact it is slightly more than £31,000. The reason the cap was set at the lower figure is that, at the more appropriate amount, hardly anybody would be affected; the system was fair before the Coalition interfered. Also, the UK has social security, not welfare. The phrase “reform of the spare room subsidy” is redundant, of course. She meant: “Our arbitrary choice to cut housing benefit – illegally, in many thousands of cases“. In fact, let’s edit out “spare room subsidy” from the rest of our analysis and call it what it is. 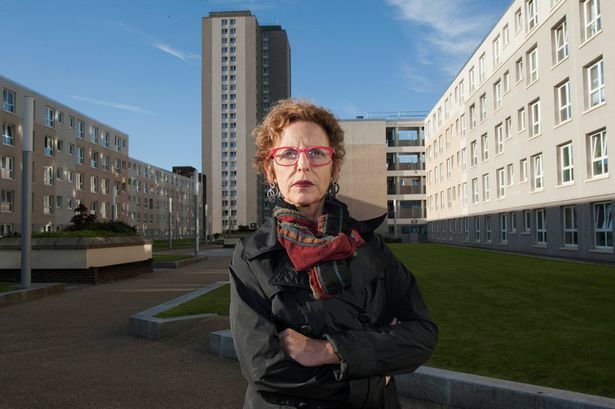 She continued: “We are ensuring all working age tenants are treated equally – as claimants receiving housing benefit in private sector already receive support for the number of bedrooms they need and not for spare rooms.” Is that so? How many private sector tenants have been hit by their own bedroom tax in the same way? Is there not a difference in income between private renters and those in social housing? Where are the figures to support this claim? According to the press release, an advertising campaign was launched in the local papers this week, “to ensure claimants affected by the [Bedroom Tax] are fully aware of the support available to them from Discretionary Housing Payments, home swapping services or to get into work”. I just checked my own local papers…. No. Nothing. “The removal of the [Bedroom Tax] means all working age housing benefit claimants in both social and private rental sectors receive support for the number of bedrooms they need – but not spare rooms.” Wrong. It removes support on an entirely arbitrary basis, according to whether an assessor decides a tenant has a spare bedroom – without reference to any definition of the word “bedroom”. Now, a judge in an Upper Tribunal case has determined that a “bedroom” must be one furnished with a bed and/or used for sleep. In addition, the use of the word “all” for affected housing benefit claimants is inaccurate because those who were in their current accommodation and receiving the benefit before 1996 are exempt from the Bedroom Tax. Many thousands were billed in error and at least one person is known to have committed suicide because of that mistake. That unnecessary death is one of many for which the Coalition government, and the DWP in particular, is responsible. The other false assertion – that “the benefit cap means claimants no longer receive more in benefits than average household earnings” – has already been dismissed elsewhere in this article. The government will continue pumping out this kind of disinformation in support of its ever-more repressive policies – remember, this announcement states that it is cutting the money available for discretionary housing payments (DHPs) – and the right-wing-controlled mass media, including the BBC, will keep on mindlessly repeating it until the general election at least. That is why sites like Vox Political need to keep reinforcing the facts as they become clear – and why you need to spread those facts, any way you can. Don’t let them win this battle with lies. Vox Political opposes the Bedroom Tax. “Manifestly inadequate” are words that should ring in Iain Duncan Smith’s ears for some time to come. They are the Council of Europe’s verdict on the UK’s social security system of payments for jobseekers, pensioners and recipients of both short- and long-term incapacity benefit. 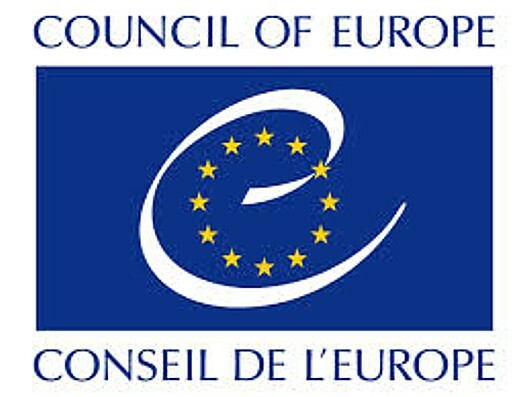 The Council, an international organisation promoting co-operation between all countries of Europe in legal standards, human rights, democratic development, the rule of law and cultural co-operation, is home to the European Court of Human Rights. The finding was made in an annual review of the UK’s adherence to the council’s European Social Charter. If the UK’s Conservative and Liberal Democrat Coalition government takes no action to rectify the situation, then the Council of Europe’s Committee of Ministers may address a recommendation to the UK, asking it to change the situation in law or in practice. This is clearly a weak way of handling a situation that could affect the well-being of many millions of people. But Council officials say national courts refer to these international standards when deciding on relevant cases, meaning benefit claimants could try to use the Council’s ruling to boost their case for a higher award. In response, our ever-more-right-wing government could decide to withdraw from its dealings with the Council altogether, meaning our citizens would no longer have recourse to the European Court of Human Rights. Many Tories – like Philip Davies – have long held this desire! The Daily Mail, of all rags, appears to have done its homework on this, stating: “JSA, ESA (both £67 a week) and pension (about £102) all fall well below the £138 a week, or £596 a month, that the Eurocrats have set as the benchmark. The UK has signed treaties in which it has promised to adhere to the provisions of the European Social Charter, so the Council’s claim that its conclusions are legally binding are accurate. 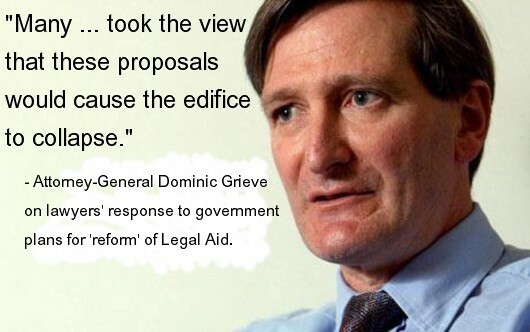 But the Coalition government has never been one to accept rules made by anybody else, and the DWP – one of the worst offenders (see previous articles on Workfare, work capability assessments for people with mental health problems, and the Bedroom Tax) is trying to claim that the findings must only be “taken into account” (meaning they would be noted, but ignored). In his own response, Iain Duncan Smith appears to have completely misunderstood the meaning of the judgement, providing yet another example of why he is rightly considered one of the Coalition government’s leading dunderheads. He simply does not understand that talking about the whole amount paid by the government is irrelevant when it is the amount paid on a regular basis to individuals that is at issue. The Council of Europe states that 40 per cent of the Eurostat median equivalised income is the level at which the benefits should be paid and, as a treaty signatory, the UK has agreed to meet this requirement. RTU’s opinion is of no consequence at all. He is in breach of an international treaty. The ruling also undermines his claim that many people have made a lifestyle choice to live in comfort on the dole, and his party’s claim that foreign nationals have been immigrating to Britain for purposes of benefit tourism – income levels are too low for anyone in their right mind to consider it. What nobody is telling you is that this report does not even take account of the changes to the UK’s social security system that were ushered in by RTU’s (we call him that in honour of his ignominious army career – it stands for Returned To Unit, the fate of officer candidates who didn’t make the grade) hopelessly ignorant and hideously draconian Welfare Reform Act. These are conclusions based on the system before the Bedroom Tax, before the benefit cap, before the flat-rate state pension, and before the one per cent limit on benefit uprating. In particular, it singles out Employment and Support Allowance: “The Committee of Ministers observed that there was a toughening of the qualifying conditions for the entitlement to ESA on the one hand and a drastic reduction of its duration on the other, which could result in an outright reduction of protection offered by the sickness benefit. That’s going to be tricky for RTU – the last figures his department deigned to release showed that an average of 73 people a week were dying after going through his ideologically-motivated work capability assessment. As stated at the start of this article, “manifestly inadequate” are words that should ring in Iain Duncan Smith’s ears for some time to come. They describe the performance of his department in looking after the needs of British taxpayers who have fallen on hard times due to unemployment or illness – and also its treatment of pensioners. They also describe, in the opinion of objective outsiders, his own performance as a British government minister. Vox Political stands up for jobseekers, the ill and the old.